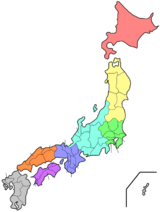 Fukushima Prefectur (福島県, Fukushima-ken) is a prefectur o Japan locatit in the Tōhoku region on the island o Honshu. The caipital is the ceety o Fukushima. 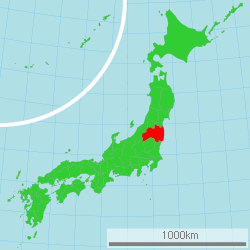 Wikimedia Commons haes media relatit tae Fukushima Prefecture. This page wis last eeditit on 8 Mairch 2018, at 04:44.